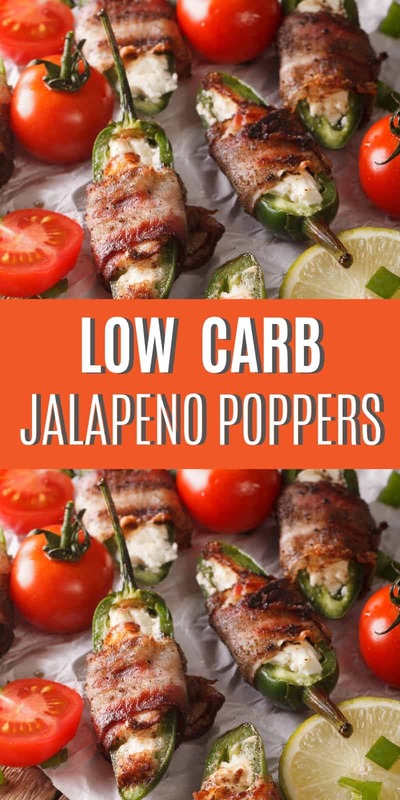 I can't wait for you to try this Easy Low Carb Bacon Wrapped Jalapeno Cream Cheese Poppers Recipe! This recipe is a huge hit with my family and I feel your family will love it too. 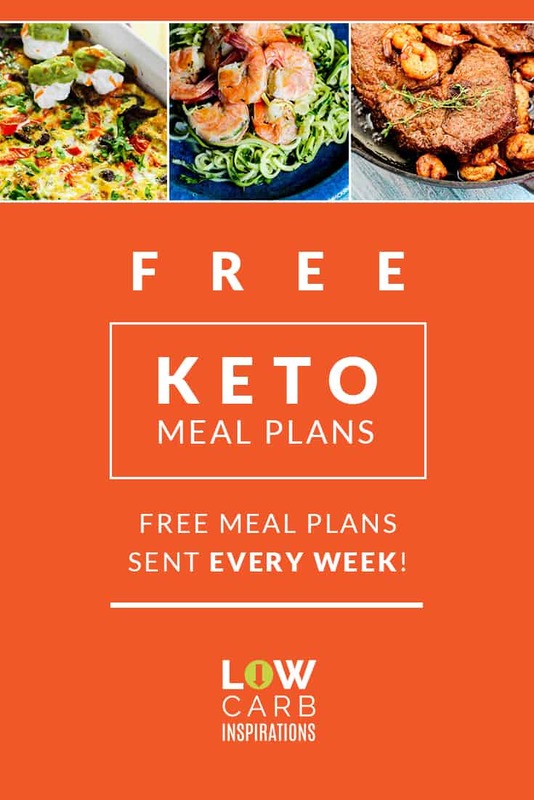 It's super easy and so GOOD. Basically, you are just putting the ingredients together and popping it in the oven! 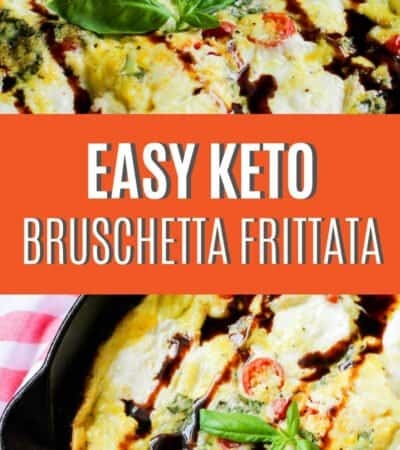 I love, love, love easy recipes like these! 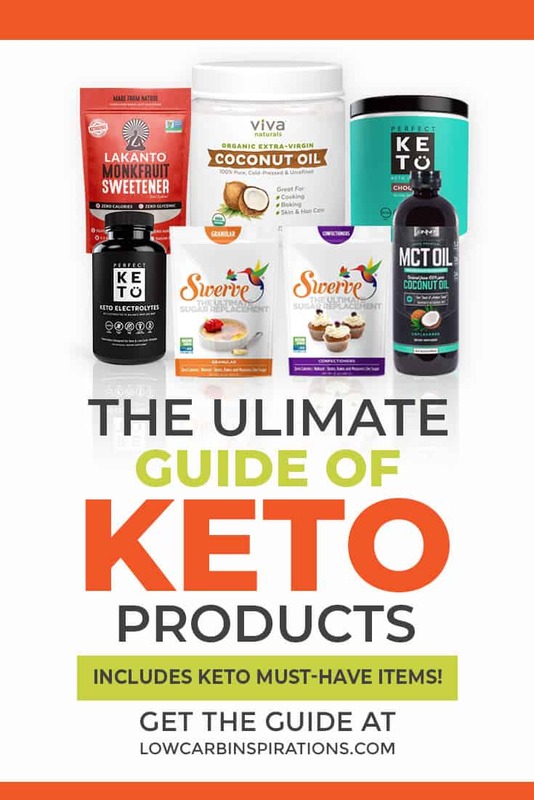 Since I started the ketogenic diet, I have become very picky about the bacon I use. One of the biggest things I make sure of is that the bacon has no sugar added. These days my go-to brand for bacon tends to be the Applegate Farms No Sugar added Natural Bacon. 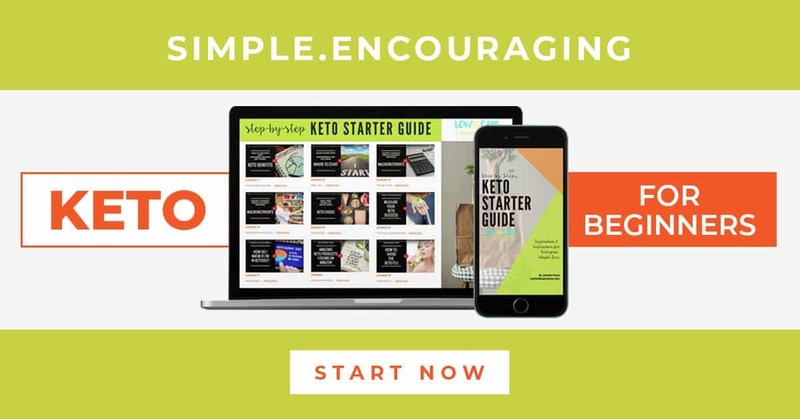 You will have to look to see what brand your store offers. 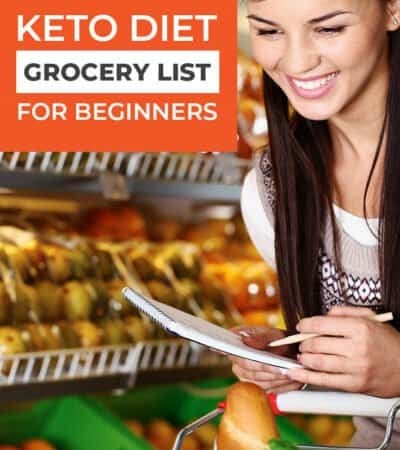 While doing Keto we are always watching the food labels very carefully. Another thing to note on this recipe is the type of cream cheese I used. 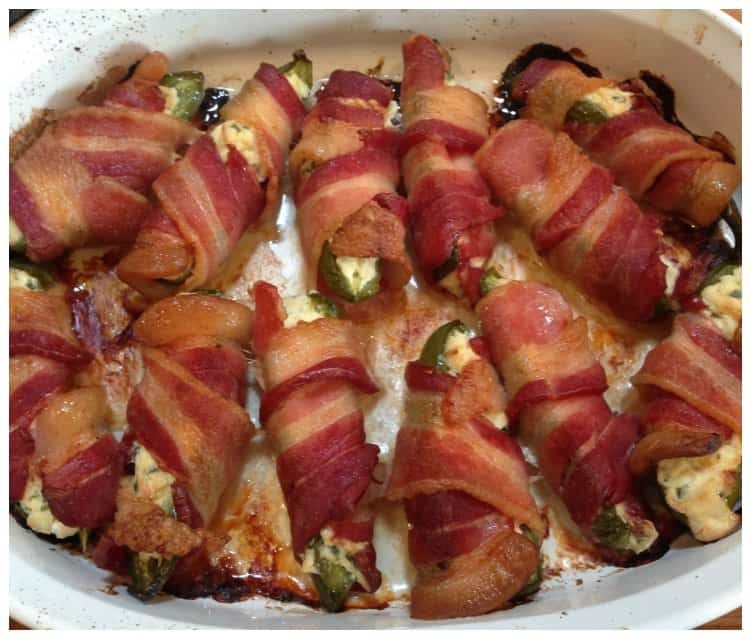 You don't need to have to use flavored cream cheese, but I love the way the flavored cream cheese tastes with these bacon wrapped jalapeno poppers. Oh, another thing I like to do is mix in some shredded cheese with the cream cheese if I use plain. Either way, both taste great! I used the Chive Onion flavor but I plan to make this recipe again and try it with the Garden Vegetable flavor! I bet that would be amazing! On another note, if you don't cook with jalapenos often, you should probably wear some disposable gloves. The juices that get on your hands can sometimes burn and you certainly don't want to rub your eyes either. 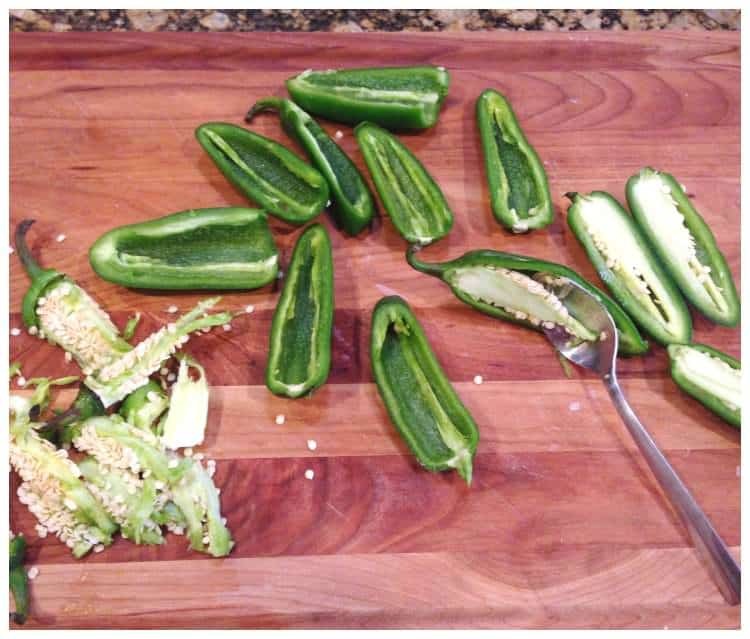 I slice the jalapenos long ways and I use a spoon to scoop out all of the inside seeds. Believe it or not, when you remove the seeds it tends to remove most of the spicy parts of the jalapeno. My family is not big on spicy foods so I will hear about it if I accidentally leave some seeds in there. 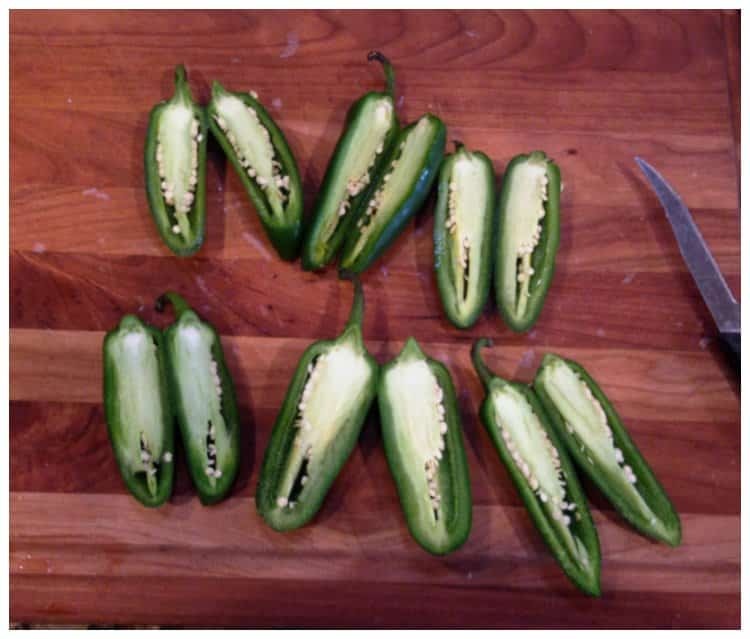 Cut the jalapenos in half longways and use a spoon to remove the seeds. 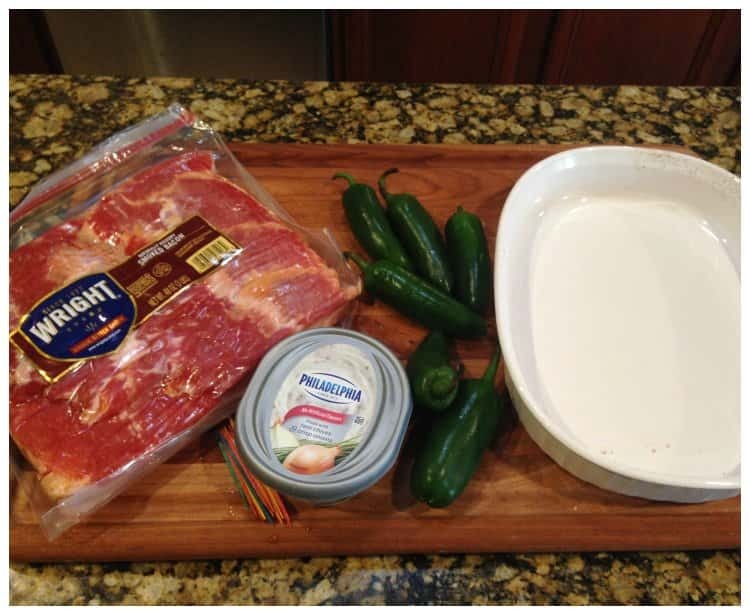 Scoop a spoonful of the flavored cream cheese into each half of the sliced jalapeno. 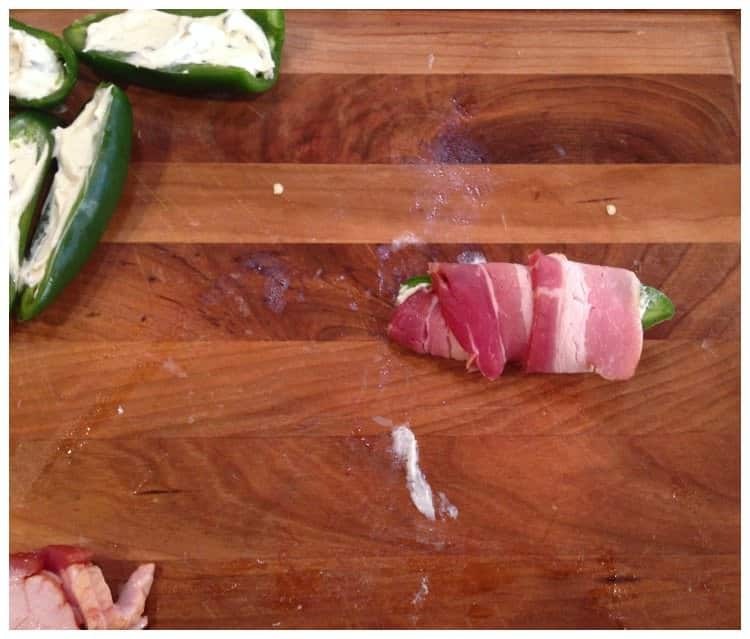 Wrap it in bacon (raw). If they don't stay wrapped you can use a toothpick to hold it together but be sure you soak the toothpicks in water before baking them to prevent them from burning. 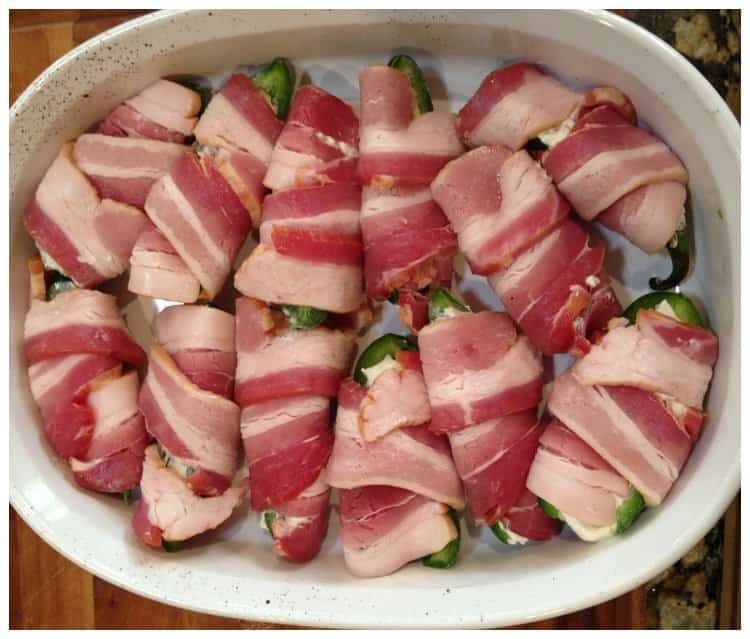 Bake them long enough for the jalapeno pepper to be tender and the bacon to be crisp. This could be between 25 to 40 minutes depending on your pan. 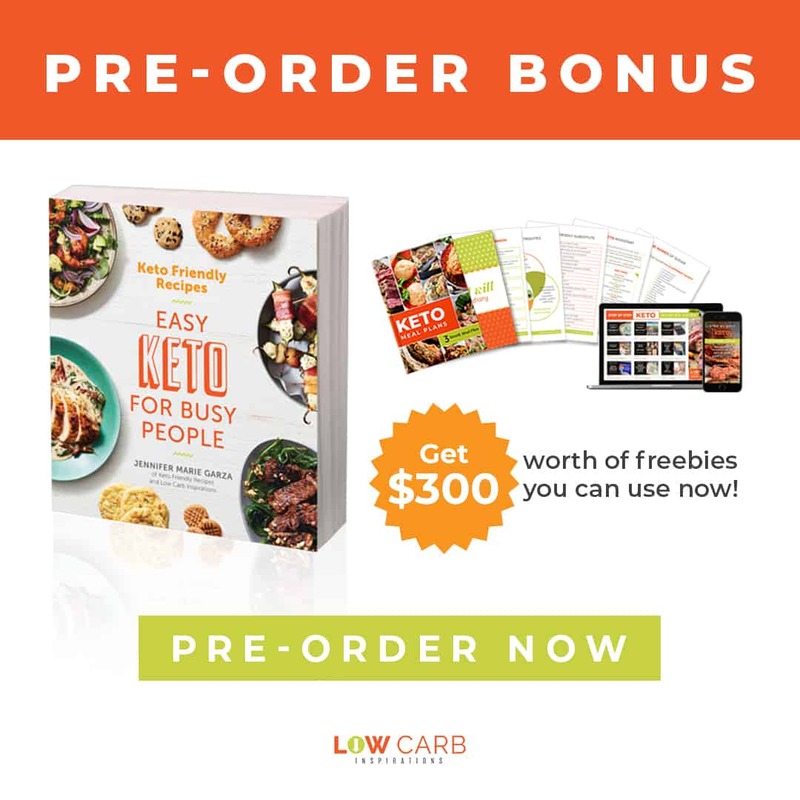 Be sure to print the recipe at the bottom! 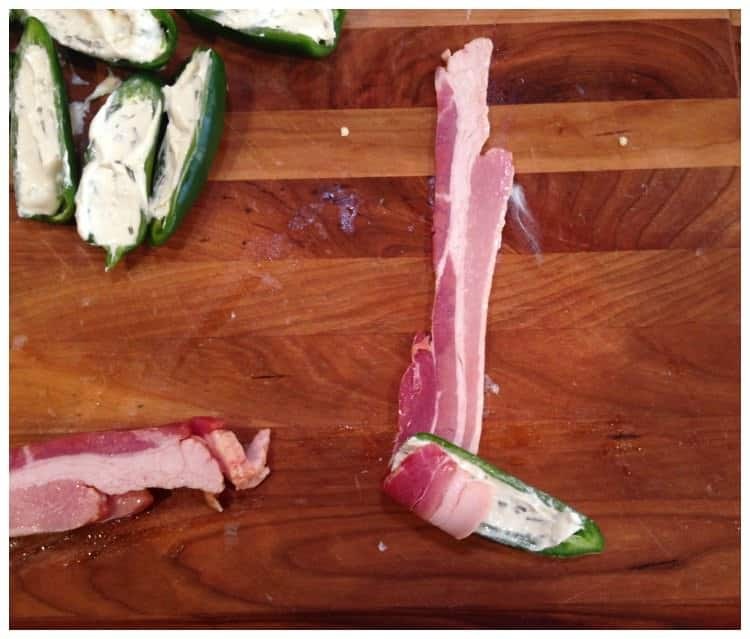 Cut the jalapeno peppers in half. 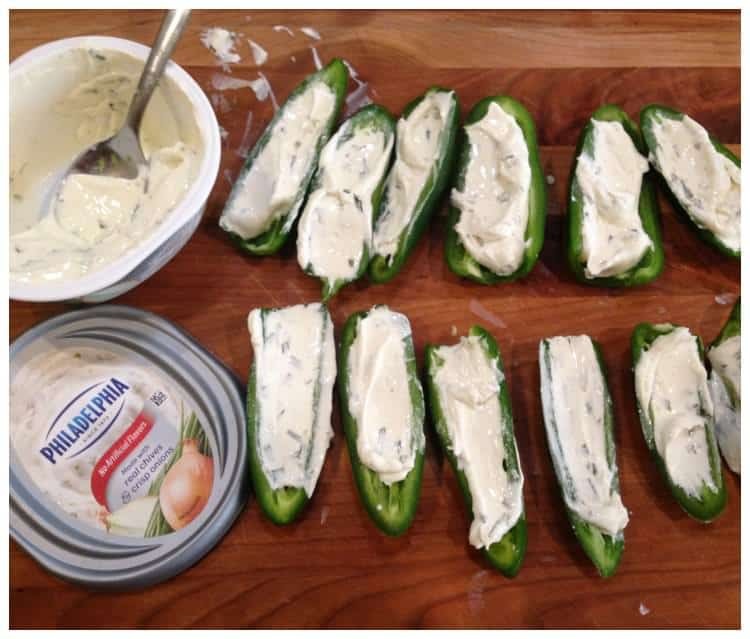 Grab your favorite Kraft Philapelphia Cream Cheese flavor and add it to the peppers. Next, we placed them in a shallow baking dish and popped them in the oven! Easy, right?! LOOK! Doesn't that make your mouth water?! 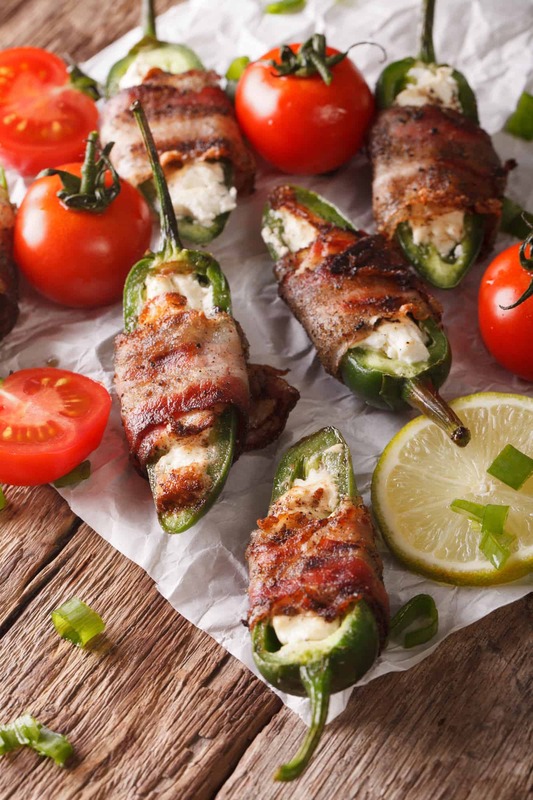 Don't forget to pin this easy bacon wrapped jalapeno poppers recipe for later! 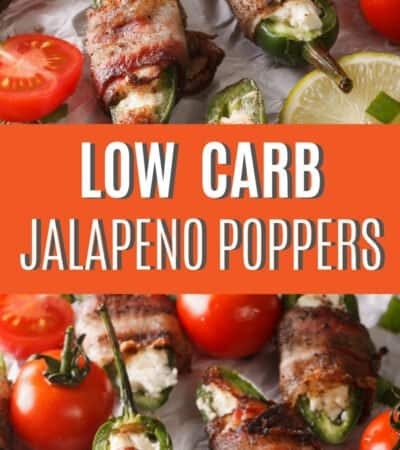 Super Easy Jalapeno Cream Cheese Poppers recipe that would make a perfect appetizer for any occasion! 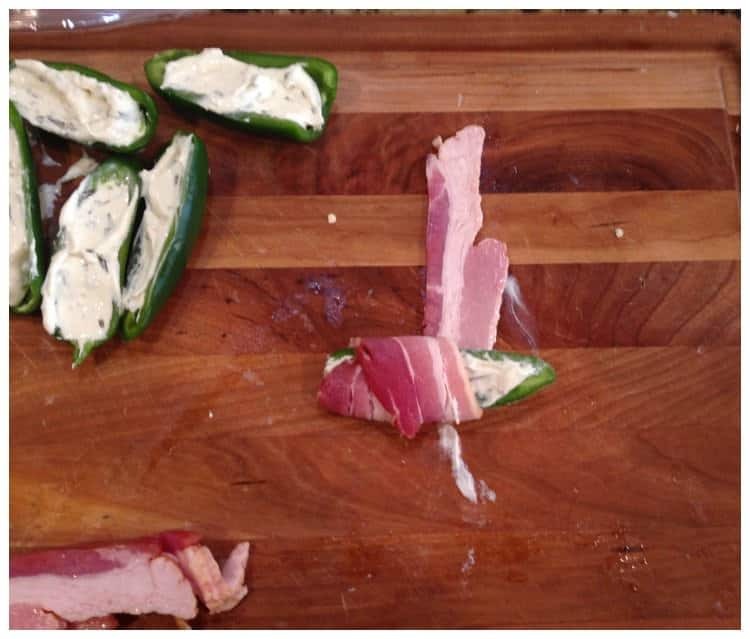 Scoop a spoonful of the Kraft Philadelphia Cream Cheese into each half of the sliced jalapeno.